Situated by the sea, this apartment building is 1.1 mi (1.8 km) from Port Vincent Marina and within 12 mi (20 km) of Stansbury Museum and Stansbury Golf Club. Ardrossan National Trust Museum is 26.6 mi (42.8 km) away. This Black Point vacation home is on the beach, 13.1 mi (21 km) from Ardrossan National Trust Museum, and within 25 mi (40 km) of Port Vincent Marina and Stansbury Golf Club. Stansbury Museum is 23.6 mi (38 km) away. Port Vincent's hotels are limited, but there's no need to worry! Wotif offers 3 other options, all less than 30 kilometres away. Consider the Oysta La Vista and Stansbury Holiday Motel and see if they suit you. 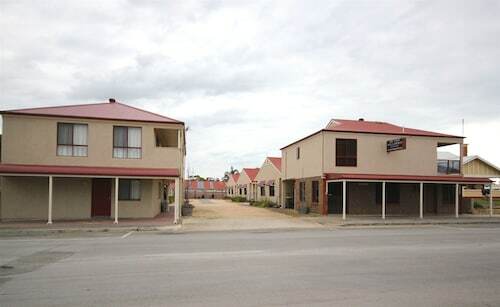 One other Port Vincent option is the Oyster Court Motel & Holiday Units, 17 kilometres away from the city's centre. But wait, there's more! Clare Valley - Yorke Peninsula offers loads of other adventures too! Clare Valley - Yorke Peninsula offers rural landscapes and beaches, along with common Clare Valley - Yorke Peninsula attractions like the farms. Travellers in this region of Australia enjoy shore fishing and beach combing. 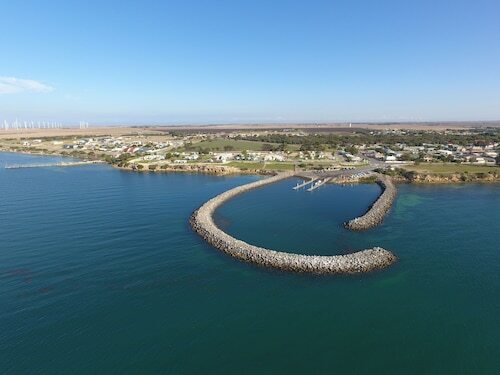 You'll find a variety of hotels and apartments in Wallaroo, which is positioned 95 kilometres to the north of Port Vincent. 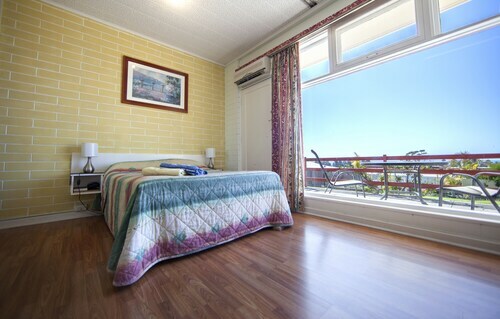 The Wallaroo Marina Apartments and The Anglers Inn are some of the options here. If you love sports and want to watch local games, you might like to visit AAMI Stadium, which is to the east of Port Vincent. Those wanting to hit the hay nearby can choose from The Lakes Resort Hotel and the Semaphore Blue Apartments. Adelaide International Airport can be found 65 kilometres from central downtown Port Vincent. If you wish to stay nearby, you can easily secure a room at the Seawall Apartments or the Stamford Grand Adelaide. How Much is a Hotel Room in Port Vincent? Hotels in Port Vincent start at AU$120 per night. Prices and availability subject to change. Additional terms may apply. Nice & clean & fresh. Looked like recently done up. Lovely soft towels & loved the pull-out draw of the vanity.